How Does a Microwaved Meal Taste? Is Freshly Worth It? Who Is It For? This was my biggest question. The answer, shockingly, is that Freshly meals taste amazing coming out of a microwave (you can also bake them if you’d prefer). Seriously, if I served a Freshly meal on a plate to the average person, I don’t think they’d ever know it was microwaved. A few of my friends said the same thing after trying a meal. Get $40 off your first two weeks ($20 off per week) or $60 off your first four weeks ($15 off per week) when you use my promo codes. FYI: They don’t have to be consecutive weeks. You can skip weeks and order a box when you want. Note: If you order your first box using any of the links in this post, you’ll get a generous discount and I’ll get a small commission. It’s a win-win for both of us! And please know I wrote this review before I knew I could earn a commission. It’s genuinely my honest, unbiased experience. Obviously, if you’re like me and hate everything about eating that’s not the actual eating part, then Freshly is worth checking out. But as I’ve talked to friends and family about Freshly, many of them have also been interested for other reasons. For me though, the biggest win is saved time and mental energy. Freshly is uber convenient. If you add up all the time you’d spend planning, shopping, cooking, and cleaning, each Freshly meal probably saves you at least an hour (if not more). That’s an extra hour a day to spend with your spouse, kiddos, friends, pursuing your hobbies, etc. It’s an amazing feeling opening the refrigerator, grabbing one of these meals, and eating a few minutes later. It’s the convenience of fast food but with all natural, healthy ingredients. Freshly is also great if you need a break from your typical meal rotation. I know I can eat tacos only so many times in a month before I get sick of them. Having tried it for a month, I can confidently say it’s worth it for me. I have less anxiety, more time, and eat way healthier. I’m not kidding you when I say figuring out what to eat each week was a stressful process for me. And their prices are actually cheaper than similar (pre-cooked) meal delivery companies. Try Freshly for a week and get $40 off your first two weeks ($20 off per week) or $60 off your first four weeks ($15 off per week). Use whichever promo code will save you the most based on your expected order frequency. It’s really simple and straightforward—aided by a fantastic website. They get major bonus points for designing a website that’s incredibly easy to use. Your choices are 4, 6, 9, or 12 meals per week. I go with nine meals per week and try to get three chicken entrees, three seafood, and three other (beef, breakfast, pork, pasta, etc.). Shifting up the main protein provides a nice variety during the week. Freshly delivers throughout the week. Your first delivery will happen on that day of the following week. I have mine delivered on Fridays and the box usually arrives between noon and 3:00pm CST. If you’re not home when it’s delivered, the box will keep for an additional 12 hours. As of September 2018, you can choose from 26 entrees and 8 breakfasts with new meals being introduced every couple weeks. Although, sometimes they’re calling meals “new” when all they’ve done is make some minor changes (like shift up the side). Choose 4, 6, 9, or 12 meals and use my promo codes to get $40 off your first two weeks ($20 off per week) or $60 off your first four weeks ($15 off per week). Try some of my favorites and let me know what you think. The chicken meals are generally the most filling. While I never finish a meal still feeling hungry, I do wish the portions were larger on some of them. This might not be an issue though depending on how much you typically eat. As far as the breakfast meals, I don’t feel like they’re worth it. Mainly because they’re mostly egg-based. Unfortunately, I can’t get really excited about eggs. And you don’t get a whole lot of food for your money. The only exception are their porridge dishes (which cycle in and out). Those are good whenever they’re available (the non-paleo variety). Up first, Freshly’s customer service is top notch and extremely generous. 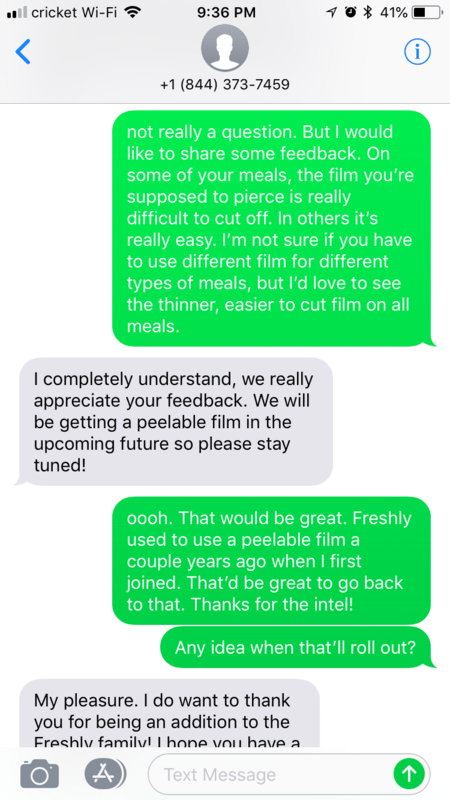 I emailed them about a meal that was noticeably off from what I’d eaten in the past (the only time it’s happened in over 300+ meals) . Without me asking, they promptly gave me credit. I thought that was a nice gesture. It made me wonder if they’d give you a credit for a meal you didn’t enjoy. Which led me to take advantage of their text support option one day while I was feeling a little goofy (as you’ll kind of gather from the text thread). From the outside looking in, I’ve been really impressed with how Freshly operates. A few things have really stood out. The proactive credits I mentioned above. They’ve replied to every question I’ve tweeted at them. They’ve changed their nutrition labels to say 1 serving instead of 1.5 because of user feedback. They rolled out a feature on their website to let you rate meals. I’ve seen them try different insulation materials, cooling packs, and film. They send out feedback surveys. All of that communicates a company that values and acts on feedback. Now that I’ve been a regular Freshly customer since 2016, I’ve found every other week (sometimes every third week—depending on my travel schedule) is the right frequency. It gives me enough variety that I never get sick of the meals. 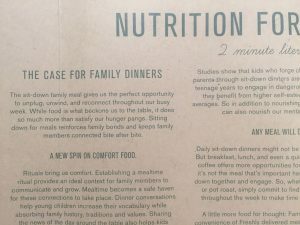 And it took me awhile to notice it was there, but the inside of each meal sleeve has a two minute read called Nutrition for the Mind. It’s a small detail, but it conveys a company that really cares about their product and user experience. Also, only having to wash cups and silverware has been one word, glorious! Blue Apron, Hello Fresh, or Plated are the most talked about online. However, you really can’t compare Freshly to those services because their model is so different. With Freshly, you get chef-cooked meals. Blue Apron, Hello Fresh, and Plated send you the raw ingredients to make your own meals. While that saves on meal planning and grocery shopping, you still have to cook and clean. I’ve tried all three and they weren’t for me. Each meal took about an hour to prepare and, honestly, just wasn’t worth it. Some meals turned out fantastic, others were gross. Clean up took longer than normal, too. If you enjoy the act of cooking and want to save time on grocery shopping then Blue Apron, Hello Fresh, or Plated are great options. But if you’re looking for simplicity, convenience, and consistency (in quality of food), Freshly is the clear winner. And it’s cheaper than similar (pre-cooked) meal delivery services. Another alternative to Freshly would be local food delivery services. It seems a lot of catering business also provide this type of service. Before trying Freshly, I found one in Nashville that was decent. The food definitely wasn’t as healthy or conveniently packaged, but it was still good. Had I not found Freshly, I probably would’ve continued with the local service. Ready to give Freshly a try? Save $40 off your first two weeks ($20 off per week) or $60 off your first four weeks ($15 off per week) with my promo codes! So, think Freshly has a spot in your cooking arsenal? Let me know in the comments how you could see yourself using Freshly. Based on this blog I took the plunge and ordered Freshly for my family. My daughter is an elite athlete who eats very very healthy. These meals were great for her and my hubby and I are enjoying the change of pace for dinner options. I work full time and love to cook….. These are meals I wish I had the time to cook…. But since I don’t, I am thrilled to have found freshly!! awesome! while i’m not an elite athlete, these are great when i come back from a post-work run. it’s a great feeling being able to quickly eat a healthy dinner without all the work that would typically go into it. glad it’s working out for your family! Can you do this for a family of 3….like 4 days of food for 3? sorry for the delayed response. i just realized i had some issues with comment notifications on my site. and yes, freshly would work in your situation. assuming dinner only, four days of food for three people would be 12 meals. so you would just order the 12-meal plan. Question about the frequency. You mentioned every other week was right for you. So do you have to log in and manually cancel your subscription weekly and then resign up again the next week? freshly lets you manage a few weeks at a time. so basically i have an on-going subscription and skip my off weeks. it is kind of a hassle to remember to skip weeks but it’s worked for me so far. you could cancel and reactivate your subscription, although i’m not sure if you can place an order and then immediately cancel the subscription without it affecting the order. however, worth looking into since that would save you from having to remember to skip weeks. if you do try that, let me know if it works! freshly does make it easy to cancel/reactivate from the website. I enrolled in the service and the menu is the same except maybe 3 entrees a week and no breakfast options. My first week was canceled two days prior to delivery because they oversold. I needed to cancel after today’s delivery and they canceled today’s delivery but didn’t refund me, yet. The food is amazing but but too high in sodium for me. Glad you’ve had success. ahh, sorry about that experience for you. do you live on the east coast by chance? they just opened a new facility to serve the east coast, and i heard the demand was more than they expected so some orders were cancelled because of that. hopefully they’ll get production sorted out ASAP. that’s really weird. i’m in nashville not too far from green hills. i wonder if it’s a glitch? or maybe try a zip code near by? in nashville, i used fresh chefs. Hey Alex, I just learned about Freshly today and automatically looked for your review. Really relieved to hear you recommend it! As a full-time teacher, tutor, and community organizer, I get home late and have grading or planning to do and can’t afford to order food all the time but junk food has made me gain weight. 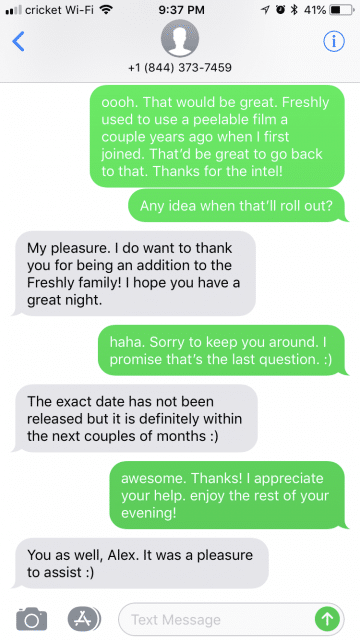 My question: what is your promo code for Freshly? No promo code necessary as long as you use the links in the post. The discount should be applied automatically when you do! Thank you for your review! I have a daughter that lives on her own and sometimes get home from work late and a son who’s living on collage campus. I’ll be sending them some Freshly meals!! Thank you!! I have been ordering Freshly for nearly 3 years and have never been disappointed in their food quality, selection or service! They regularly offer new dishes so you can change your selection if you get bored. Only pan of Freshly – They recently took breakfasts off the menu… I used to order 6 meals per week, including 2 breakfasts, but since they took breakfasts off the menu, I’m now down to 4 meals a week. I plan to try this for myself and my wife based on your review. However, I would like to defend HomeChef and HelloFresh. We currently use HomeChef because their steak is better but both services are excellent. We have used them (alternately) for over a year and we very satisfied. As mentioned, different model. Don’t disregard them if the model seems to fit. I like to cook as opposed to microwaving. totally agree. i have nothing against meal kits like hellofresh. if i enjoyed cooking even a little bit, i’d probably be regular subscribers to one of them instead of pre-cooked meal delivery companies like freshly. I wonder if the amount of food / serving is enough for a hungry person. Usually these kind of services bring a very small portion where you end up spending more with some other stuff to feel satiated. i wonder if someone could provide an honest opinion and not someone who is somehow linked to the company or paid to provide “positive” ones. not sure if i’m disqualified from answering here, but i’m going to say if you describe yourself as a hungry person, the portions aren’t going to be big enough. for most meals, it’s enough to satisfy my hunger but i wouldn’t consider myself full from them. We liked the food, but for my hubs (he’s 6’1″ and weighs 240), one was not enough. He ate two. Too expensive to maintain. Back to the stove I go. Hi there. I had my first ever Freshly meal, chicken with green beans and butternut squash Mac n cheese. Scrumptious. I’m a big girl and i loved it. When l saw the portion l said oh no. .. but satisfying, good, hearty and yes, filling. Nope, my portions normally just average, but I was still hungry after eating 2 of 3 meals I have tried so far. Each meal is 450-550 kcal. So if your breakfast is small and you are not trying to loose weight, it’s simply not enough food. I’ve ordered this for my Mother who is almost 90 years old. Hoping it will help her eat a more balanced diet. So hard for her to cook for one person. Thanks for your review! you’re welcome! hope the meals work out for your mom. My mom ,72 years old, has to lose 75 lbs for a hip surgery and to breath better. Will you be sure to share how your mom likes it? I’d really be interested! Molly, how is it going with Mom? I was thinking about shipping them to my dad who is 86. Not sure he can manage the microwave. Also, are they freezable if they aren’t eaten? yup, totally freezable. i’ve had a couple friends do that with some of their meals. That was my big question Can you freeze them? And for how long? my friends said they froze some meals up to two weeks and ate them without any problems. but i imagine you they’d probably last even longer as most frozen foods typically do. 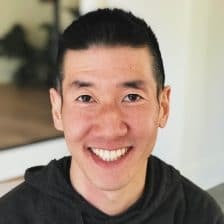 I haven’t read all the posts, but how does the payment/delivery system work? You mentioned that you got a shipment because you failed to do something so you wouldn’t get it. Would it be possible to try it one time, cancel, and try other systems before settling on one long term? yeah, you can definitely try it one time and then cancel. the key is to remember to cancel after you place your first order otherwise you’ll default to getting weekly meals. but freshly makes it easy to cancel and restart as needed. you can cancel under the subscription settings. Good to know. I think I’ll give them a one time try and then if I like the service, I can sign up again. Thanks, Alex. Great review. Thanks. I agree about Hello Fresh. Their ads say have a meal “about 30 minutes”. Ha! I NEVER had one in that amount of time; 45 minutes to an hour was the norm. Now to my Freshly question. 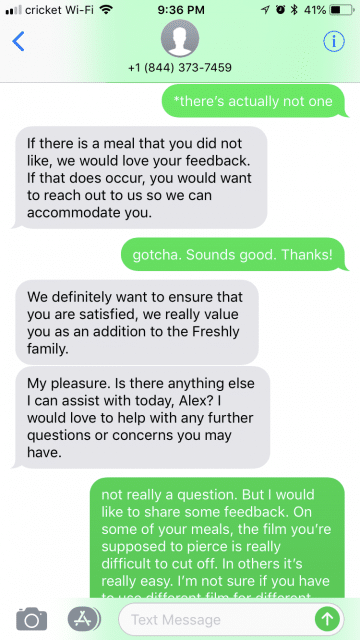 Did I see something in a previous question about meals delivered at the end of the month? So does that mean that, if I order six meals per week, they will all be delivered at the same time? And, if so, can I then assume they can be put in he freezer?? yes, all six meals will be delivered in a single box. and the meals can definitely be frozen. i have two different friends that have done that with their meals. Oh. I wish I had read this before I ordered for the deal. Looking forward to the meals after reading your review! First time reader here, as your blog came up as one of the top results for a Freshly review. Really appreciate the review and even listing other competitors in this space. I’ve ordered through your referral. Looking forward to trying this service out, as I’ve been a long time sub of the other home delivery kits to cook. This will streamline my personal life, and I think the cost to guarantee 12 meals a week for the cost seems worth it to me. The only thing I don’t really like is that my first delivery is a month away. hope you enjoy freshly as much as i have! and i’m not sure why deliveries are pushed to the end of the month. i wonder if it’s because they recently announced they’re delivering nationwide so they’re getting more orders than normal and aren’t able to keep up with the demand? I just ordered 6 meals from Freshly for the first time, and the order will arrive Jan. 31. I’ve read your reviews, and find them helpful. The thought of food poisoning scares me, so I hope that’s not true! That in itself would put us at a for sure ‘no!’ My husband and I have been using Hello Fresh for about a year. We think the meals are excellent, but yes … they require time in the kitchen – lots of time chopping, following steps, and then clean-up (although the ingredients are high quality, and, as one would hope, ‘fresh’)! I’m just anxious to try something a bit different, without all the work and time involved. i hope you enjoy your freshly experience. it’ll be a nice change of pace if you’ve been using hellofresh for a year. and i wouldn’t worry about food poisoning. with any food service, preventing that is their livelihood. at the scale freshly operates at, i wouldn’t be surprised if you had a higher chance of food poisoning eating somewhere local than you do with them. My son is a year free of cancer. When he was diagnosed I began to send him Freshly to ensure a clean, nutritious diet. He loves them and doesn’t have to stress over his next meal. It is so important to to have the above conditions when staying cancer free. Does freshly offer ketogenic diet meals? sorry, i can’t speak to that since i’m not sure what ketogenic diets require. your best bet is to look at the nutrition facts on their website. Thank you for the very detailed review and tips and the promo code. I just finished chemo and looking to eat healthier and save a little time as well. You have sold me to try it out. congrats on finishing chemo! freshly will definitely help you save time and eat healthier. Thank you for this review! I had already ordered a box which I will get 1/17. Like you, I abhor, detest, despise cooking and would rather poke a stick in my eye repeatedly than to have to do it. I have been using Dinnerly for the last couple of months but it still requires cooking, although the ingredients list is limited to 6 ingredients, unlike the other meal services that have 80 gazillion ingredients that have to be chopped, sauteed, roasted, etc. Unfortunately, Freshly didn’t deliver to my area until this month and I can’t wait until my first delivery. Thanks for this article Alex. 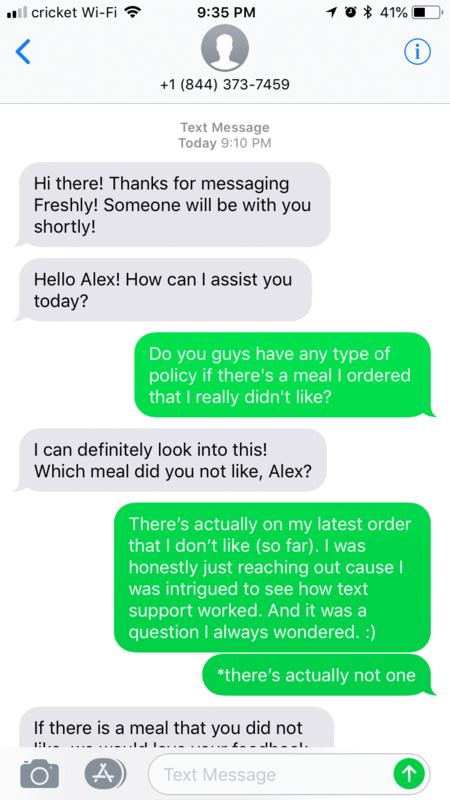 I believe Freshly is just hitting the East Coast and I have my first delivery (thanks to you for the discount code) on 1/21 and perfect timing with starting grad classes – I know I don’t eat as well when I’m in school! yup, as of the new year they’ll start delivering nationwide. enjoy your meals. the steak peppercorn and shepherd’s pie are two of my go-tos. So is the price weekly or is that the monthly price? I’ve been searching for a truthful review of Freshly for awhile and yours is the best review I’ve seen. Excellent information. Thank you! aww, shucks. thank you SOOO much for this comment. it genuinely means a lot to me. especially that you found it truthful since that’s something i was striving for. How long do the meals stay good for? Can you leave them n the fridge for a couple of weeks? 4-5 days, but you can freeze them after that if you wish. i get my meals on friday and usually eat the last one the following thursday. so that’s seven days in the fridge without any issue. Thanks for the review. I just saw an advertisement for freshly and wanted to read some reviews before giving it a try. I think I will sign up and try at least a couple weeks. you’re welcome. hope you enjoy your first meals! Just had my first delivery I’m taken aback by how small the portions are. 390 calories for one entree? Seriously? I’m a tiny woman who barely exercises, and I need more than that. I don’t even feel half full now that I’m done eating. While some of their meals go up to 550 calories per meal, that’s still not enough. from my experience, most services like freshly have meals in the 400-600 calorie range. as with any diet, you have to find the one that fits your goals/priorities. if you’re needing a meal service with more calories, freshly (and most others) aren’t going to be the right fit. or you can always supplement with snacks throughout the day (which is what i do since i run a lot). Does Freshly offer paleo meal options? I have a condition that requires I eat paleo? Hate cooking and need something healthy and quick. Thanks! i’m honestly not sure what the requirements are for paleo meals, so i can’t say for sure. i’d recommend you check out their website and see. Has anyone ever tried to freeze the Freshly meals? while i have not, some of my friends have. they’ve actually frozen all their meals and haven’t had any issues. the only thing they mentioned was the shrimp dishes tended to be a little watery. but that can be alleviated by draining the excess water before eating. 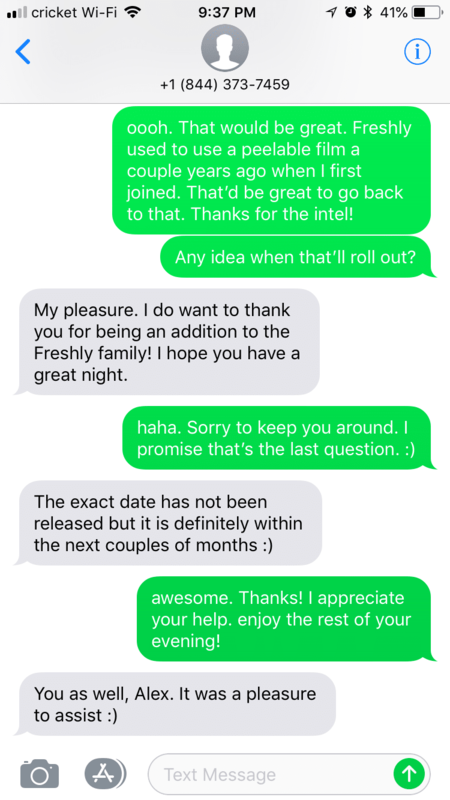 We have been using Freshly for over a year now. We tried all of the rest and none came even close in comparison. As indicated, these are chef prepared meals. I believe also that if you put the meal on a plate and served it, no one would know it was prepared. A lot of complaints here about the high sodium content. Honestly, as far as I can see (at least with the meals displayed at this time) it doesn’t seem so bad. I checked out Home Chef and they seem a LOT worse – which surprises me given that their meals are not pre-cooked. Like many others I’m now “sodium” conscious. Still, I think I’ll try this, my first such service. Alex, you took the words out of my mouth when you said you “abhor” and “despise” cooking. I wish I didn’t! i wish i didn’t either. ;) hope freshly works out as well for you as it has for me! Did you get any reimbursement for this review? yup, i get a commission when someone places their first order. it wasn’t always the case. i share a little backstory in this thread. As luck would have it, my boss is on vacation and forgot to cancel his Freshly delivery. I had the Peppercorn Steak and it was surprisingly excellent. Def worth a two week trial . . .
sweet, how was the first meal? I’m on the fence to try them mainly because of the high fat (especially saturated fat), high cholesterol, and high sodium content. It seems like everyone only associates “healthy” with natural ingredients, low calorie, and low carbs. Have you ever had food poisoning from this? I am a little nervous about it being pre cooked so it would be risky to me! nope, never had an issue with food poisoning! (*knock on wood*) and i also take seven days to eat all of them when i think they recommend you eat them 4-5 days from when you get them. no issues eating them after their use-by date. If you read their Yelp, a lot of people have gotten food poisoning from their food. some yelp reviews and (i have a sneaky suspicion) even some comments on this post are questionably sincere or honest. there are always some people (or companies) who post comments solely to cast doubt on a product/service with no truth involved. so for anyone reading this, just know that’s a problem for any site that collects user-generated reviews/comments. I’ve been using freshly for about 6 months after I found out that I had cancer. I was lucky and didn’t need chemo or radiation but I just wanted to be able to recover without thinking bout everyday tasks. Nothing I’ve ever gotten from them has been close to being off and I’ve never gotten food poisoning. ooh, definitely not glorified TV dinners. i grew up on those and these are not even in the same ball park. portion sizes are decent. the chicken dishes tend to be the most filling for me. there are some that are smaller than i would prefer (typically the pasta ones), but i’m never left still feeling hungry. and definitely bigger than what you’d find in TV dinners. 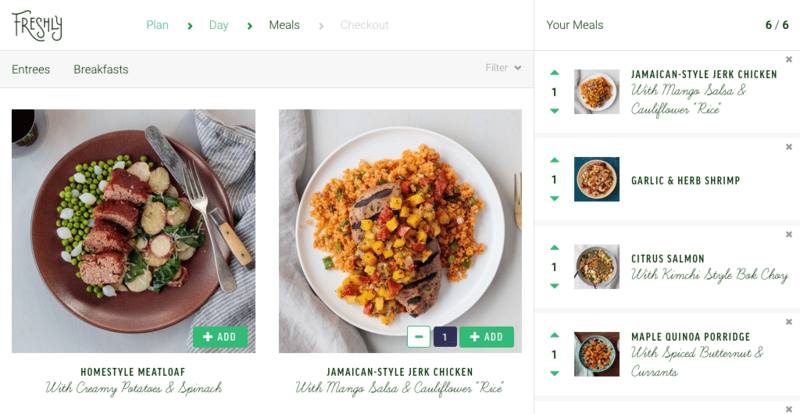 Just joined Freshly for a two-week trial and am looking forward to receiving my first week of meals. Thanks very much for your review – I found it to be very informative and Freshly sounds like a very good match for me. Considering joining but wasn’t sure how they’d taste or how happy I’d be with portions. Thanks for your review! no problem! hopefully the portions and taste work out for you. depending on the dish, some portions feel smaller or larger than others. for example, pasta meals seem smaller to me than chicken dishes. but each person is different, so it might not be the case for you. best thing to do is try a bunch of different meals covering the different types (chicken, pasta, seafood, etc.). Thank you for your review. I currently subscribe to Home Chef. It’s nice that every week food comes to cook, but the bad part is that every week food comes to cook! Freshly sounds great and when I sign up I’ll use your code. I did want to mention that my husband has a Hot Logic Mini that he takes to work to heat his food. I think that would be a great way to heat these meals. I got ours on Amazon but you can get it directly from Hot Logic. haha. i totally feel you. 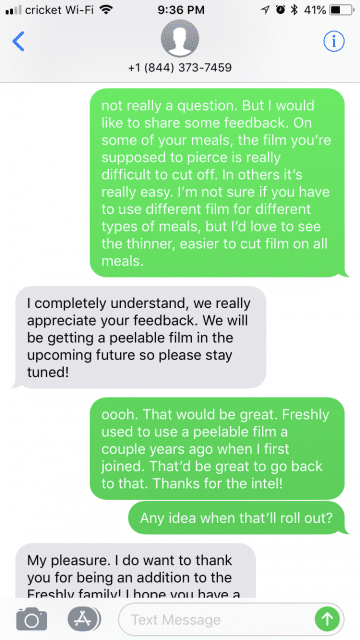 i tried another meal delivery service a month ago that required cooking. it reminded me how much i LOVE the convenience of pre-cooked meals. and that’s really cool about the hot logic mini. i didn’t realize there was such a thing! I do home chef and freshly. Freshly for lunch and on those nights when we can’t cook. And home chef for the diversity. We receive 4 meals of homechef a week. It’s perfect. We eat out or have breakfast for dinner on the other nights. Thanks for reviewing them! I have one of the cooking boxes on the way, but have wanted to try this one as well. sorry, but not familiar with any. Even though freshly is gluten-free, it isn’t grain-free. They still have pasta, Etc but it is made with gluten-free ingredients. You’d have to check to see if they have one of the three veggies that you like. My first delivery arrives in two days! I’m using while I’m out of town for work for a few weeks. Sadly, they don’t deliver to my hometown yet. But I’m looking forward to having healthy meals in the hotel that aren’t insanely overpriced! soooo cool you had it delivered to your hotel. that’s one way to avoid eating poorly while traveling! great idea. From your article: ” If you add up all the time you’d spend planning, shopping, cooking, and cleaning, each Freshly meal probably saves you at least 30 minutes (if not more)”. ROFL! You are obviously a male who has not done much shopping, cooking, or cleaning. Thirty minutes? With just the cooking that replicating these meals entail, you would spend about an hour – cleaning produce, cutting, chopping, mixing, seasoning, sauteeing, searing, grating, mincing, etc. And the shopping? Even if you had a grocery store 10 minutes away, and dashed in to get the necessary items and check out, you’re talking another 30 minutes. Cleaning? Pans used for searing, roasting, steaming, sauteeing, knives used for chopping, mincing. bowls, spoons, mincers, graters. Probably another 15-20 minutes, minimum. Alex, I’m just trying to give you a bit of ribbing and not trying to be critical. But 30 minutes? You owe every chef in your acquaintance an apology. 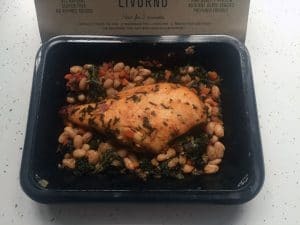 Thanks for the great review – it pulled me off the fence and convinced to try Freshly as my first-ever subscription food service! Used your code as well – thanks! Sounds like it would be a great for older parents that dont or cant cook anymore? yup, would definitely fit the bill for that situation! Just joined, and ordered for my parents. Hoping it helps them eat a more balanced diet, without all the hassle. I’ll be going back to work soon after being on medical leave for a year and due to chemo, have difficulties with the taste of many foods. My son brought two Freshly meals for me to try and I really liked the quality of the proteins, sides, and vegetables as well as its flavor. I feared going back to teaching kindergarten and having to come home to cook because I am at 60% energy level. I’m so happy that I actually liked the food, it’s gluten free (I also have Celiac), priced well, no need to go shopping, just heat up, and I wash only utensils and a glass for my drink. Plus the meals are healthy and have the correct amount of protein, which is necessary for my recovery. and glad they’re working for your situation. hopefully not having to worry about meals lets you conserve your energy for other more meaningful things! You mentioned Nashville having a local delivery option. Do you mind sharing it? I like in Nashville and would like to try out several options including Freshly. i used fresh chefs in nashville. Hi Alex, u made my decision feel that I made a good one, I’m just bummed that I didn’t see ur web page sooner so u can receive the ur small commission sorry! oh, no worries! i appreciate the thought. They’re very high in sodium. Did Freshly pay you or compensate you in any way for your review? Thank you. yup, i do get a small commission when people order through the links in the post. here’s a comment thread that explains how that came about.